Some time ago m0n0wall burried their project and my firewall went out of maintenance. Back in 2008 m0n0wall really had it’s great time but opnsense - as the recommended successor - requires more hardware (cpu/memory) than my alix routerboard alix2c3 had. I didn’t want to invest or assemble a new alix routerboard with encosure and antennas. 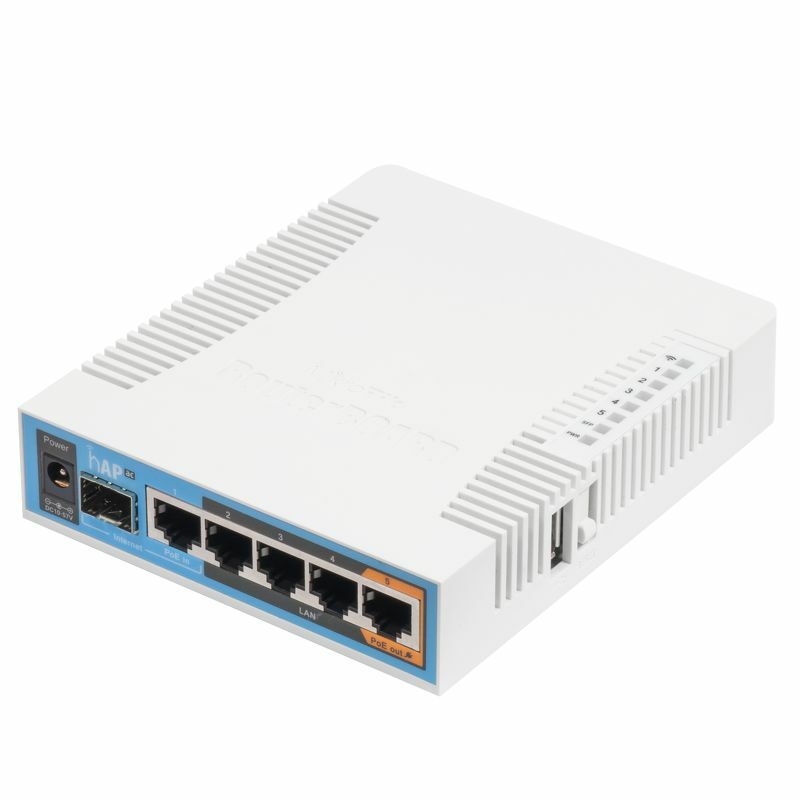 So after doing some research online I decided Mikrotik would be my next internet entry point. So I got a hAP AC from Mikrotik. There are a lot of tutorials out there how to setup different configurations and the Mikrotik Documentation, wiki and forum are pretty good. But after some time managing your device in your browser, you’ll start to notice, most people use some kind of software to manager their devices. Winbox is available - guess what - for Windows only and is a RouterOS management application. 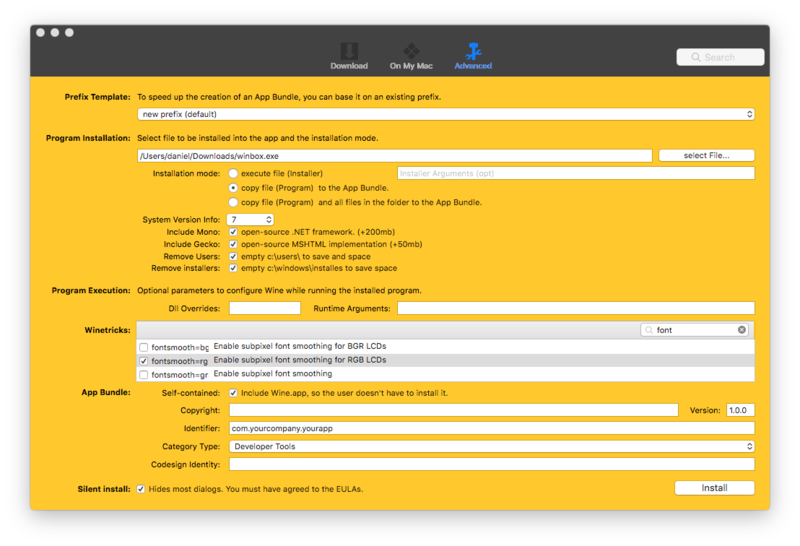 It looks quite similar to the webui, but has some features you will really like as multiple windows. 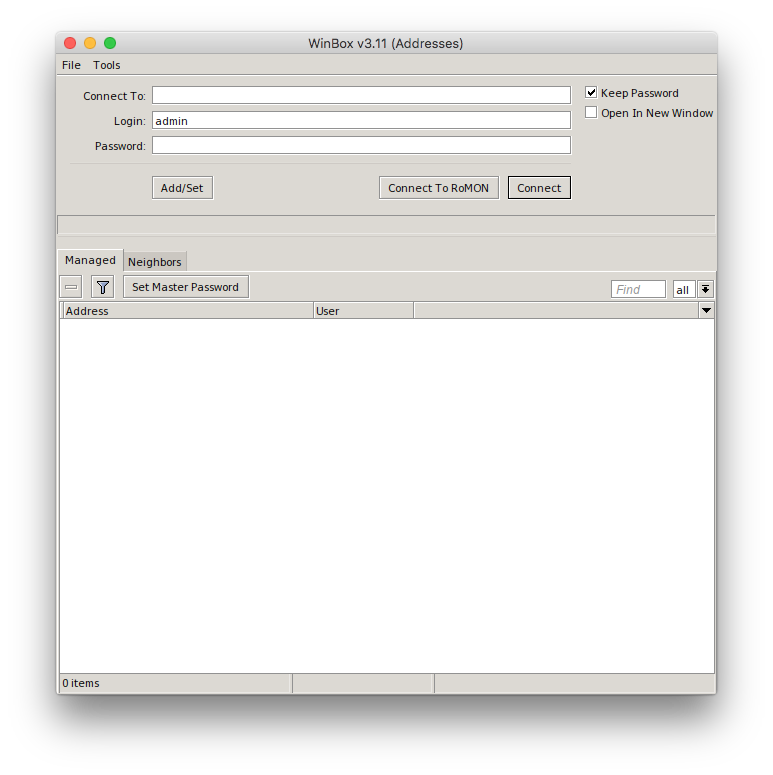 You can download the Winbox software from Mikrotik tools and utilities page. So how to run a Windows programm on a macOS, you might want to use a virtual machine, but you could run it very easily by using good old Wine. Use homebrew to install Wine. If your fonts are looking bad, try to run winetricks settings fontsmooth=rgb before you relaunch the application. If you’re not familiar with command line you can use WineBottler to bundle everything together and have an *.app package you can just drop into your /Applications folder as you’re used to. The package will be quite large as you see below. WineBottler includes Wine into the applicaton package. You can finetune the settings in WineBottler.